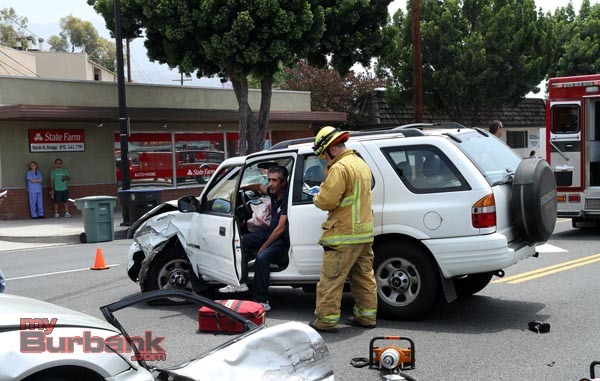 Burbank Firefighters and Paramedics were called to the intersection of Rosita and Glenoaks Blvd. around 11:20 for a reported traffic accident. Upon their arrival they found two cars involved with one person trapped. Additional equipment was requested including a truck company that carries the ‘Jaws of Life’ making it possible to cut the doors and center post from one of the cars. Following the extrication, Paramedics rushed one of the victims to a local hospital, with unspecified injuries while treating another one who did not require transportation. Burbank Police are conducting an investigation as to who was at fault, and following up. Southbound traffic on Glenoaks Blvd. was diverted during the rescue for a short while investigators were working the scene. 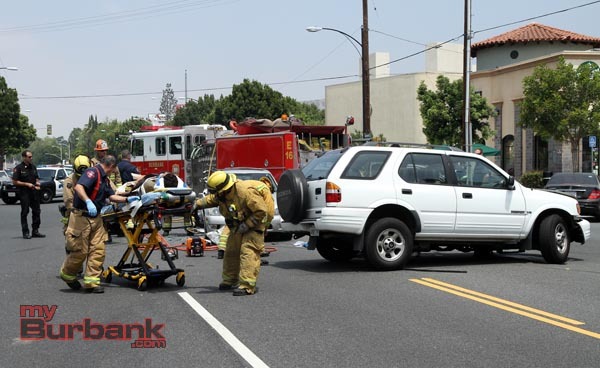 This entry was posted in Fire / Accidents, News and tagged Accident, Jaws of Life on June 12, 2013 by Ross A. Benson.